The distinct curves of the Kalpa Donna in polished stainless steel are nicely balanced by the two diamond rows which perfectly set the scene for the ivory sunray dial. 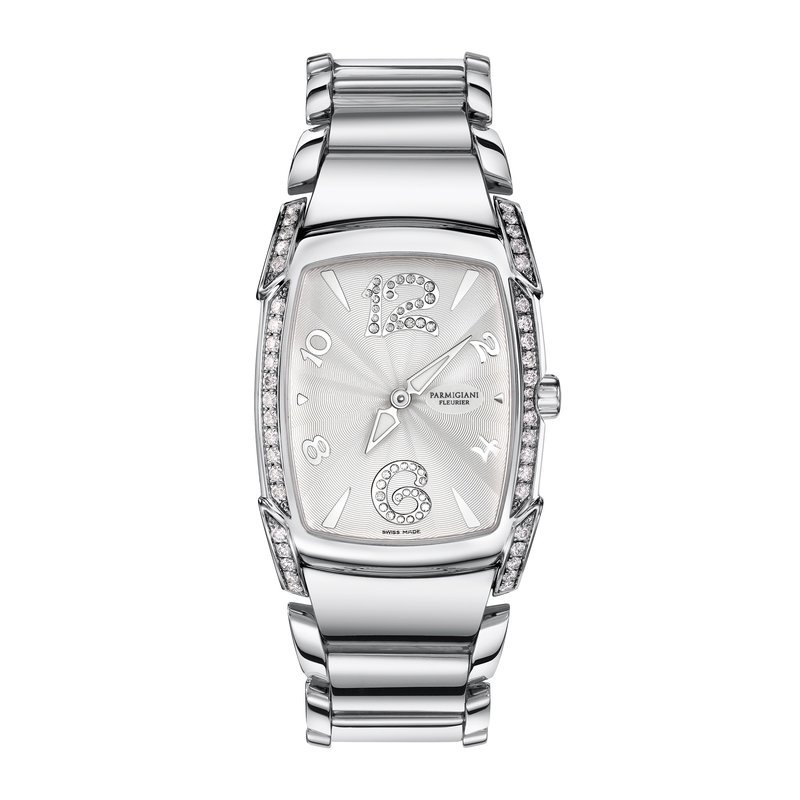 The quartz watch features rhodium plated appliques, Arabic numerals and special setting for six and twelve o'clock. The polished stainless steel bracelet adds the finishing touch to this timepiece.